Call for attention in this gorgeous Marchesa Notte™ Cold Shoulder Floral Tea Length Gown. Fitted bodice with A-line silhouette featuring sheer mesh overlay. Three-quarter sleeves with cold shoulder detail. Embroidered and tulle floral design throughout. 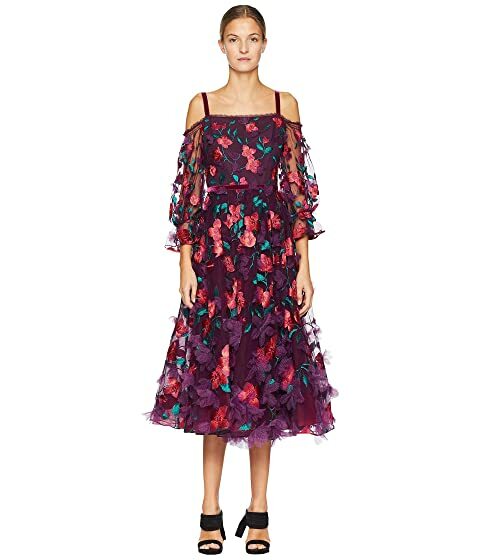 We can't currently find any similar items for the Cold Shoulder Floral Tea Length Gown by Marchesa Notte. Sorry!